Home FOR FUN Temporary Fix Big Rust Holes On Your Car Without Welding! 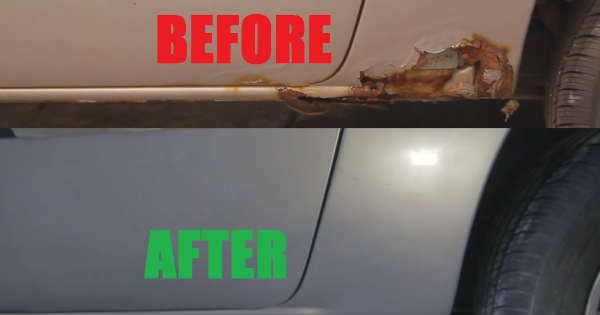 Temporary Fix Big Rust Holes On Your Car Without Welding! 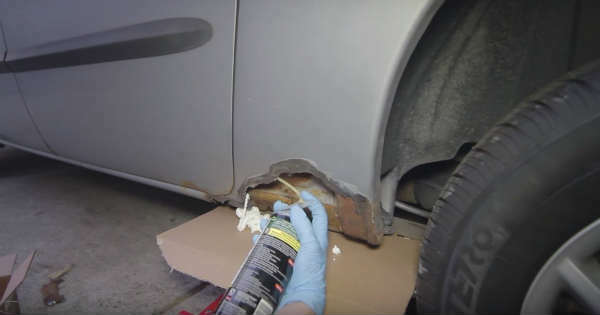 In this video, a certain YouTuber that goes by the name of Lukas Lenner teaches us how to fix massive rust holes on your vehicle without welding. It’s a very neat trick is pretty inexpensive and will cost you only around $20. For this trick you’ll only need expanding foam and Bondo Body Filler. We know this technique might sound a bit ridiculous and it even might not be the best way to approach this. However, we urge you to give it a chance. 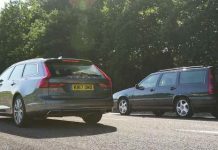 It’s also worth mentioning that this is not a long-term solution but rather a temporary solution because it won’t stop the rusting process. However, if your body shop charges you more than what your car is worth, we definitely recommend using this technique. If on the other hand you want a long term solution to fix those big rust holes and stop the rusting process, then you should use welding. 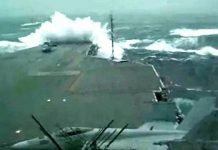 If you want a short-term solution because you can’t afford to spend hundreds of dollars for the job, then you got a very cheap alternative in this technique, even if it’s only temporary. Lukas Lenner is performing this trick on his mini-van that has definitely seen better days and now it is all rusted. You can see a before and after comparison which looks pretty fascinating. One very useful tip after performing this technique is to let your car sit for 1 or 2 days after cutting the foam. You should do this to prevent cracks in the body filler because of foam shrinkage. At last, here is one more guide on how to repair a rust hole. Previous articleSelf-Rescue Device Trac-Grabber Will Get You Unstuck From Snow, Sand & Mud! Next articleEasy Rust Removal From Chrome! Easier Than Coca Cola & Aluminum Foil! The Best Way To Super Clean Your Car Windshield! 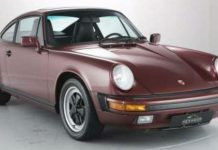 House & Office Decorative Ideas For Every Gearhead! Take A Tour In This Massive Abandoned Ford Plant! 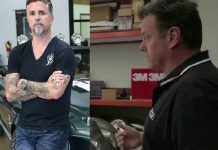 Chip Foose & Gas Monkeys Make A Big Trade Deal! 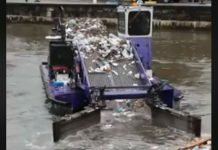 This Water Garbage Cleaner Might End Pollution Forever! 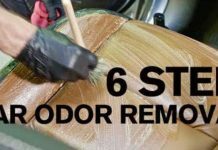 This Car Odor Removal Technique Takes Just 6 Steps! Here Is The Truth Why Big Chief Leaves Street Outlaws! 17 Years To Build This Lamborghini Countach In His Basement! Where Is Rick Petko After Leaving American Chopper! This Is The Cheapest Nissan GTR In The USA!